In 2013 we created Ghudfah: a luxurious abaya line that caters to the elegant and classic lady. We believe our edge lies in the intricacy of details, selection of luxurious fabrics, and our fine/high-end finishing. Over the past two years we were able to bring our brand to the spotlight across several prime events such as: Bisat Alreih in Jaddah as a sponsor, Laha Trunk Show in Qatar, Haya in Qatar as a platinum participant, and Nayarah in Riyadh. 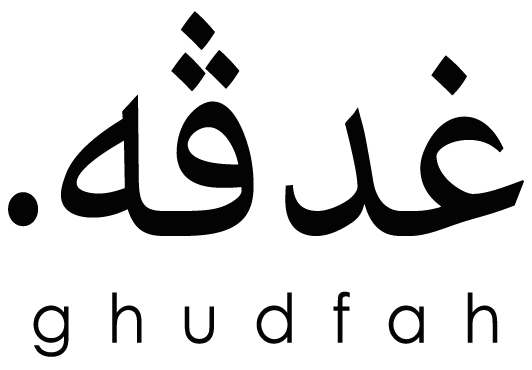 "Ghudfah" is an Arabic word that means veil or shellah, which I used to hear from my grandmother when I was a little girl. The word Ghudfah war a very common word in Najed, the heart of Saudi Arabia, in the 80s and before, and still can be heard in Alqassim and some other rural areas in the central region. We are emotionally attached to the word "Ghudfah" since it rimnds us of dear people and times that will never come back. And we are looking for word to see this special bond between Ghudfah and the ladies who will own a piece from Ghudfah The Abaya House. © copyright 2015 Ghudfah Inc.